From Fizzing Whizbees to Cockroach Clusters, Bertie Bott’s Every Flavour Beans to Chocolate Frogs, the Harry Potter films abound with sweets to enchant and astonish! 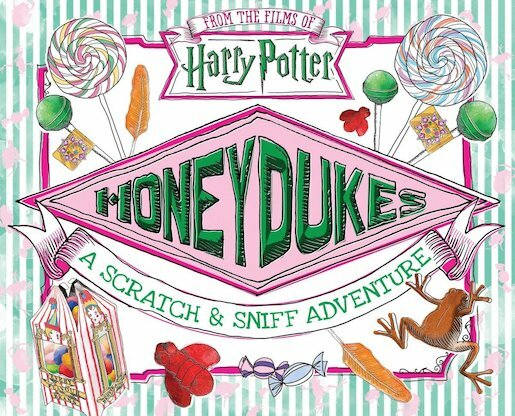 Now for the first time, fans can scratch and savour the scents of delectable confections straight from the shelves of Honeydukes! Look back on the most mouthwatering Harry Potter movie moments in this beautiful, scented hardback, perfect for fans of all ages.